To enter, email me (scroll and click envelope) with your name and snail/street mail address and type "Token of Darkness" in the subject line (Facebook, JacketFlap, MySpace, and Twitter readers are welcome to just privately message me with the title in the header or comment on this round-up; I'll write you for contact information, if you win). Deadline: midnight CST March 6. Note: U.S. entries only. Sponsored by Random House. Don't miss yesterday's Cynsations guest post on World Building by Amelia. Peek: "Once I, as the author, have a sense of the world, I need to figure out a way to communicate it to the reader without drowning them in info-dump that slows the plot." In celebration of the release of Hex Hall by Rachel Hawkins (Hyperion, 2010), enter to win a Hex Hall T-shirt (size small, medium, or large)! To enter, just email me, message me or comment me with "Hex Hall" in the subject line. Deadline: March 31. Note: U.S. entries only. Read a Cynsations interview with Rachel. The winners of The Book of Samuel by Erik Raschke (St. Martin's, 2009) were Jane in Oregon and Patience in Florida. 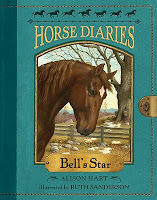 The winner of Bell's Star (Horse Diaries 2) by Alison Hart, illustrated by Ruth Sanderson (Random House, 2009) was Alice in Australia. Read a Cynsations guest post by Alison on Writing About Horses. Carnival of Children's Literature ~ February, 2010 from Sally Apokedak from Whispers of Dawn. Includes author interviews, book reviews, literacy, technology, tips for writers - marketing, tips for writers - writing, tours and book experts, and widgets. Note: "Tricia at Miss Rumphius Effect will host the March Carnival. Entries must be in by March 25, and the Carnival will be posted March 28. Sign up at the Carnival website!" How I Know I'm a Writer by David B. Coe from Science Fiction & Fantasy Novels. Peek: "...it showed some guy in jeans and a flannel shirt sitting on a dock overlooking a placid mountain lake. He had his laptop and nothing else — no books, no papers. Nothing. It was just him and the scenery and the computer, and he was typing away. My wife and I thought it was the funniest thing we'd ever seen." Source: Shari Green from Waves and Words. Taking Chances by Brian Yansky from Brian's Blog: Writer Talk. Peek: "Every time you write it’s a kind of leap of faith. You have to be brave. If your story is a strange one and it’s going to be told in a strange way, it may be harder to sell to a publisher. That’s true. But who knows what will happen then?" Read a Cynsations interview with Brian. 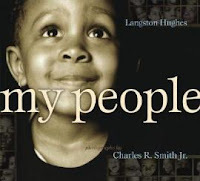 28 Days Later: Charles R. Smith, Jr. by The Brown Bookshelf from 28 Days Later: A Black History Month Celebration of Children's Literature. Peek: "Career-wise, it’s already opened doors to projects that use photography. 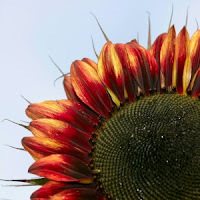 The old knock that photography doesn’t do well seems to be moot now." Note: congratulations to The Brown Bookshelf on a tremendous series, and thank you for all of your hard work and dedication! YA Books Central Monthly Advertising Giveaway for Authors from YABC. Peek: "Every month, YA Books Central will be giving away one advertising spot to an author. There's nothing to buy, no hoops to jump through (though we would appreciate a link back to the site). All you have to do to enter is fill in the form every month in which you wish to enter. A winner will be randomly drawn every month and notified via email." Nancy I. Sanders: Yes! You Can Write Children's Books: a CafePress store. Peek: "Products for the children's writer, including T-shirts, mugs, journals, tote bags, mouse pads, calendars and more! Goodies to go along with Nancy I. Sanders' series of Yes! You Can how-to-write books for the children's writer. These products will help motivate you to keep writing and make your dreams come true!" More from Nancy. An Interview with Leda Schubert by Zu Vincent from Through the Tollbooth. Peek: "Music is everything. It’s rhythm, melody, silence, intensity, emotion, structure, repetition, breath, dynamics, and so much more. In some sense I hope I have internalized some of these elements enough to incorporate them in my writing, but it’s not conscious." See also Vicki Oransky Wittenstein on Planet Hunter: Geoff Marcy and the Search for Other Earths (Boyds Mills, 2010). Teen Fiction Cafe Celebrates Three-Year Blog Anniversary & Sara Zarr Shares Lessons Learned from the Teen Fiction Cafe. Peek: "...There can be things about your book you wish you'd done better, or different, but if a reader loves it you don't grimace and say 'Thanks, but...,' you honor that. Once it's out, in a way it's not yours any more, it's theirs." Read a Cynsations interview with Sara. Five Quick, Free Ways to Buzz Your Book by Mitali Perkins from Mitali's Fire Escape. Read a Cynsations interview with Mitali. Chip On Your Shoulder by Jessica from BookEnds, LCC - A Literary Agency. Peek: "It’s natural, normal, and understandable, but it’s not going to help anyone’s cause, least of all your own, to develop a chip on your shoulder and share it with everyone." Source: Elizabeth Scott. The Comparison Trap by Carrie Vaughn from Genreality. Peek: "It starts early, out of necessity, because we look at other writers and their careers for clues about how the business works and how to break in. We ask for advice from writers who’ve been there and follow their leads. But that also gives us a way to gauge our progress." SLJ Battle of the Books: "a competition between 16 of the very best books for young people published in 2009, judged by some of the biggest names in children's books." An audio interview with author Heather Brewer on Eleventh Grade Burns (Book 4, Chronicles of Vladimir Tod)(Dutton, 2010) from National Public Radio. 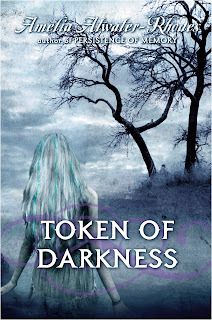 Note: the Vladimir Tod series is recommended to readers, and Heather is recommended as a speaker. Sylvan Dell offers free eBook copy of Pandas' Earthquake Escape by Phyllis Perry, illustrated by Susan Detwiler on its homepage during the month of March. Note: The eBook features read-aloud, auto page flip, and selectable English and Spanish text and audio. This title is also available in hardcover and paperback. Changing the Cover of YA Books for Boys by Tabitha Olson from Writer Musings. Peek: "...there is another group out there that would benefit from cover changes: boys. I think Liar has many story elements that boys would enjoy, but I don't hear boys talking about it. Why? I think much of it has to do with the cover being a picture of a girl." Interview: Libba Bray by Gillian Engberg from Booklist. Peek: "...when my son was in preschool, the school banned superhero figures because they had 'unattainable powers' that might damage the kids' developing egos. This, to me, was hilarious, and it made me think about the peculiarly American need to maintain some unrealistic happiness status quo, which to me is a recipe for unhappiness." Read a Cynsations interview with Libba. All About Sequels by Nathan Bransford - Literary Agent. Peek: "If your primary writing goal is to have fun: more power to you! Write a fifteen book interconnected series and don't let anyone tell you your front lawn swallowed a neighborhood dog. If, however, your goal is to be published, writing a sequel to an unpublished, self-published, or under-published book is probably not your best strategy." Read a Cynsations interview with Nathan. Barnyard Slam by Dian Curtis Regan, illustrated by Paul Meisel in a two-part poetry podcast by Sylvia Vardell, Professor at Texas Woman's University from Holiday House. Note: "Sylvia also talks about why and how to use poetry across the curriculum, in the classroom, and in the library." Read a Cynsations interview with Dian. Book Trailers for All: "[t]hese folders have been created as a way for educators to share book trailers for children's and YA books. It is an extension of the group "Book Trailers for All" on Teacher Tube." Congratulations SCBWI Golden Kite Winners Julia Durango, Ashley Bryan, Marion Dane Bauer, John Parra, Nan Marino, Catherine Reef, Rebecca Kai Dotlich, and R. Gregory Christie. See the winning books and more information! Q&A with Barefoot Books, publisher of Little Leap Forward: A Boy in Beijing from papertigers. Peek: "...one of the great things about being independent in the digital world is that it offers us a way of reaching our customers far more effectively than we could when we were dependent on the traditional supply chain." Read a Cynsations interview with Tessa Strickland of Barefoot Book. Lambda Literary: a new website from the leader in LGBT book reviews, author interviews, opinion and news since 1989. Source: Gwenda Bond. Clare B. Dunkle: official site of the San Antonio based author of The Walls Have Eyes (Atheneum, 2009), The Sky Inside (Atheneum, 2008), By These Ten Bones (Henry Holt, 2005), and more. See Clare on Storytelling and Fiction Writing as well as The Business of Novel Writing. Interview With Ron Koertge by Janet S. Fox from Through the Wardrobe. Peek: "Characters tend to nag me in a way that story (or Story) never does." Read a Cynsations interview with Ron. Decolonizing the Imagination by Zetta Elliott from The Horn Book. Peek: "I learned early on that only white children had wonderful adventures in distant lands; only white children were magically transported through time and space; only white children found the buried key that unlocked their own private Eden." Read a Cynsations interview with Zetta. 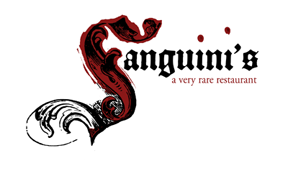 Interview with Soul Enchilada author, David Macinnis Gill by Cindy Pon from The Enchanted Inkpot. Peek: "...when I returned to writing fiction after an indentured servitude to academic writing, I chose to write for young adults, where nothing is anathema. Want to write a traditional novel? Go ahead. Want to write an epistolary novel? Go ahead and make it netspeak if you want. Want to mix text with visual media? Sure!" Read a Cynsations interview with David. True Grit: In tracking down the real story of a legendary hero of the Old West, Vaunda Micheaux Nelson also nabbed the Coretta Scott King Award. By Joy Fleishhacker from School Library Journal. Peek: "I did use some research materials. And I also went online and printed out some lists of Western slang and Western talk that gave me some ideas. My husband was a good source, too. We both moved here from Pennsylvania, but he had a longing to come to the Southwest..."
Cover Stories: All Unquiet Things by Anna Jarzab from Melissa Walker. Peek: "The model's name is Lauren, and a couple of months ago I heard from her lovely mother, who dropped me a line to tell me that was her daughter on the cover. I was excited and asked her to see if Lauren could write a little something about her experience being a cover model..."
The Making of Pouch by David Erza Stein from Hunger Mountain: The VCFA Journal of the Arts. Peek: "Here's a look at the making of David's new book, Pouch! (Putnam, 2009). Pouch was a 2010 Charlotte Zolotow Honor book!" Book Trailers: I Just Can't Decide by Kristina Springer from Author2Author. Peek: "I keep struggling with whether or not book trailers are worth it. If you're savvy with moviemaker software and you're going to do it yourself..."
The Saving Maddie (Delacorte) Blog Tour by Varian Johnson from They Call Me Mr. V. Note: next Tuesday is release day and Varian's birthday! Read a Cynsations interview with Varian. New Children's Bookstore to Open Near Salt Lake City by Judith Rosen from Publishers Weekly. Peek: "...after five years as an associate editor at Gibbs Smith, Witte decided early last month that the time was right to start a children's bookstore. She's already got a name picked out, Fire Petal Books, and a location, a 1,400 sq. ft. space in Centerville, Utah, just outside Salt Lake City. The only problem is that she doesn't have start-up funds." To support this new independent children's bookstore, bid at the Fire Petal Book Auction. Items include numerous children's-YA books as well as a query and first ten pages critique with agent Jill Cocoran, a query and first ten pages critique with agent Lauren MacLeod, a manuscript critique and 15-minute phone call with HarperCollins editor Molly O'Neil, and author critiques by Carol Lynch Williams and Sara Zarr. Highlights of the week included receiving the F&Gs for Holler Loudly by Cynthia Leitich Smith, illustrated by Barry Gott (Dutton, Nov. 2010). It's too early to share a sneak peek of that book, but in the video below, you can check out Barry's illustrations for Dino-Baseball by Lisa Wheeler (Carolrhoda, 2010). Congratulations to Sergio Ruzzier on the release of Hey Rabbit! (Neal Porter/Roaring Brook). Kirkus Reviews raves, "The colors are soft and clear; the line is vivacious and the little anthropomorphized animals are sweet. Their satisfied imaginations fill whole pages, and friendship emanates from every wriggle." (Starred). Below, Sergio and Rabbit visited the pre-K classes at P.S. 9 in Prospect Heights, Brooklyn, NY. An interview with Jennifer and Matt Holm, the creators of Babymouse, a graphic novel series from Random House Children's Books. Jennifer and Matt discuss Babymouse, the character, the series, and the inspiration behind it all. Here's a video peek into the Austin Writing Scene from P.J. Hoover. Notes: (a) I had to miss due to my cold, which is better now; (b) I love these people. Check out the Awesome Adventure trailer from HarperCollins; learn more. Readeo: "combines the best children’s books with reliable video chat to create a shared reading experience called BookChatTM where people can see, hear, read and interact with grandchildren, nephews, nieces, and others—just as you would if you were in the same room. Readeo allows families to connect and interact in a meaningful way—even when they may be far apart." Note: target market includes military families with parents serving overseas. Partners include Candlewick, Chronicle, and Simon & Schuster. The Story Behind Readeo from Readeo on Vimeo. Thanks again to everyone who chimed in with congratulations after the news broke that Eternal (Candlewick) debuted this week at #5 on the New York Times paperback list! I'm still astounded, thrilled, and so appreciative of your enthusiasm and support! 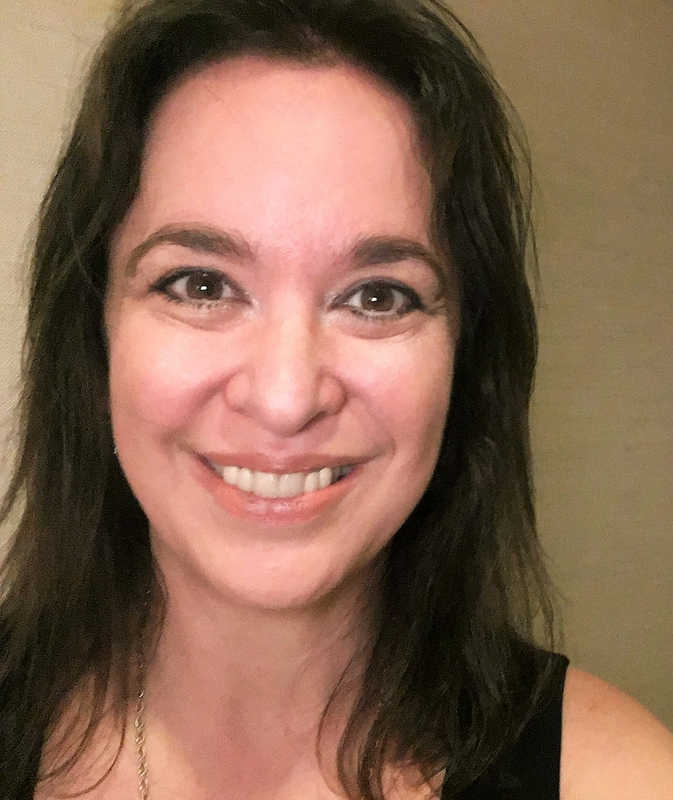 Reminder: Interview with Cynthia Leitich Smith by Jessica Rodriguez from Jessica's Vision. Peek: [on the title Tantalize (Candlewick, 2007, 2008)] "It comes from a line in the book: 'Call me werecurious, but if my mission was to arouse the boy with the beast within, I'd have to tantalize his monster.'" Note: the giveaway is now closed. Bid to win a critique by me, author Cynthia Leitich Smith, of the first 10 pages of your novel in progress to benefit Young Adult (& Kids!) Book Central. I'll provide extensive comments on the manuscript, an overview letter, and, if applicable, suggest both additional resources for study and marketing strategies. Bidding begins at $10. Auction ends at midnight CST March 30. Bid here! See additional items & services available at the auction! See also the Texas Sweethearts Critique opportunity at the YABC auction! Peek: "What could be more helpful than a critique to strengthen your story? Three critiques! Multiple-published members of The Texas Sweethearts—Jo Whittemore, P.J. Hoover, and Jessica Lee Anderson—will individually critique your query letter, synopsis, and the first ten pages." Want more? You can join my reader groups here at MySpace and here at Facebook! "Putting the Power in PowerPoint" with author P.J. Hoover will be at 11 a.m. March 6 at BookPeople. Peek: "Don’t think you’re savvy enough? Scared of animation? Sick of using the same old standard templates? Afraid of boring kids and adults alike? Then don’t miss out on this presentation by author P. J. "Tricia" Hoover. P.J. will dispel the burdening and fearful thoughts PowerPoint may conjure. She’ll explain how to build a fantastic PowerPoint presentation from the ground up, and how, once that first presentation is done, it can be modified and reused for others in the future. P.J. will go over the basics of creating your own custom template to personalize your presentation, and how to use animation and images to bring your presentation to life. Materials: bring an open mind and a bundle of energy." Sponsored by Austin SCBWI. Read a Cynsations interview with P.J. Jacqueline Kelly will be be reading from The Evolution of Calpurnia Tate (Holt, 2009) and signing from 3 p.m. to 5 p.m. March 6 at BookPeople in Austin. Read a Cynsations interview with Jacqueline. Release party - author Jo Whittemore will celebrate Front Page Face-Off (Aladdin Mix, 2010) at 1 p.m. March 14 at BookPeople in Austin. Joint release party - YA authors Varian Johnson and April Lurie will be featured in a joint book signing at 2 p.m. March 27 at BookPeople in Austin. Varian will be signing Saving Maddie, and April will be signing The Less-Dead (both Delacorte, 2010). Read a Cynsations interview with April. Oklahoma SCBWI Spring Conference will be from 9 a.m. to 5 p.m. March 27 at Embassy Suites Hotel (1815 S. Meridian) in Oklahoma City. Faculty includes: editor Amy Lennex, Sleeping Bear Press; editor Greg Ferguson, Egmont USA; associate editor Kate Fletcher, Candlewick; Stephen Fraser, Jennifer DeChiara Literary Agency; and senior designer (art director) Kerry Martin, Clarion. See registration form, information on writers' and illustrators' critiques, and more. Note: registration closes March 23. Release party - author Chris Barton will celebrate Shark v. Train, illustrated by Tom Lichtenheld (Little Brown, 2010) at 1 p.m. April 24 at BookPeople in Austin. Read a Cynsations interview with Chris. Moments of Change: the New England SCBWI Conference will take place May 14 to May 16 in Fitchburg, Massachusetts. See conference schedule, workshop descriptions, manuscript critique guidelines, and special conference offerings. Note: I usually list conference speakers/critiquers, but as you'll see from the faculty bios (all eleven pages), it's an unusually big group. I will say, however, that I'm honored to be participating as a keynote speaker! Master Class/Writing Salon Event Details from Austin SCBWI. Peek: A Master Class/Writing Salon for the advanced writer, led by author Carol Lynch Williams, will be held May 15 at the Ranch House at Teravista in Round Rock, Texas. The cost is $80. Read a Cynsations interview with Carol.